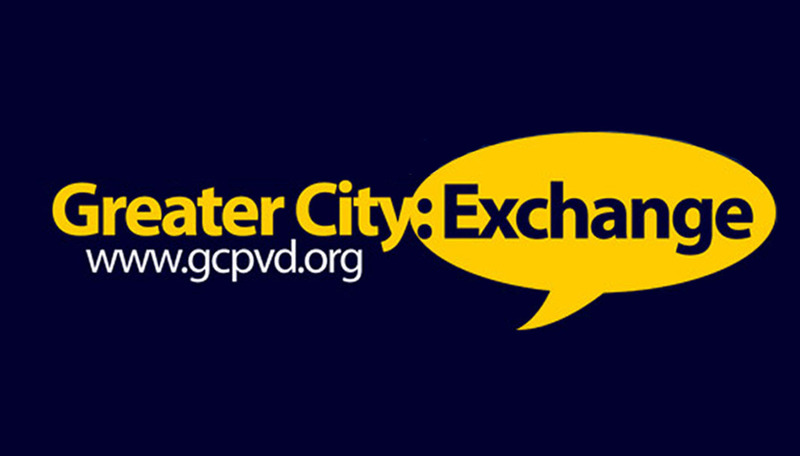 Our next Greater City: Exchange meeting will take place next Tuesday, July 10th starting at 5:30pm at Spats Restaurant. 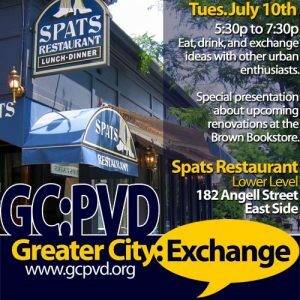 Spats is located at 182 Angell Street (near the corner of Thayer), we will be meeting on the lower level. At the meeting, representatives from the Brown Bookstore will be joining us to talk about their plans for the upcoming renovation of the store. I’m sure there will also be much talk about the evolving nature of the retail experience on Thayer Street. As always, there will be plenty of time to mingle and enjoy drinks and discussion with other people. RIPTA: Routes 35, 40, 42, 49, 78, and 92 Green Line to the top of the Hope Tunnel.